Fluidigm’s revolutionary integrated fluidic circuits (IFCs) empower life science research by automating PCR reactions in nanoliter volumes. This means using less sample and reagent, and a single microfluidic device, to achieve the high-quality, consistent results your work depends on. 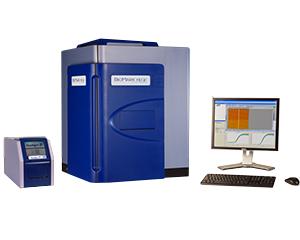 The Biomark HD system runs IFCs in either real-time or end-point read modes, bringing flexible, efficient and economical PCR solutions to a range of applications. No more compromising for quality. 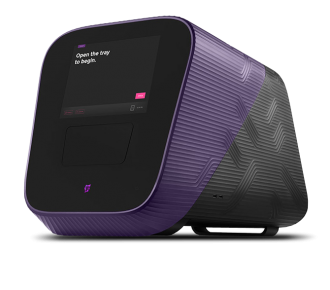 With the Biomark HD system, you get reliable production-scale throughput and exquisite single-cell sensitivity, with a wide variety of sample types and chemistry choices to accommodate the most genomic applications. Now you can run entire projects from research to validation to routine screening on a single system with the flexibility you want and the consistency you need. Hal Schneider, Clinical laboratory manager at Boston children´s hospital, describes how his research has benefited from using the BioMark System, from a core facility perspective. He explains how the BioMark System provides high-throughput, real-time PCR in a clinical setting. Fluidigm is a Molecular and Single Cell Biology company that creates microfluidic-based chips and instrumentation for Life-Science research.